For Rives Potts, winning the St. David&apos;s Lighthouse division in the Newport Bermuda Race was the culmination of a lot of hard work. "I&apos;ve done the race 20 times and loved every one," says Potts, 61. "We have been fortunate to have done well in our class in the seven races we&apos;ve done on Carina, but winning the St. David&apos;s Lighthouse is very, very special." Potts, who manages Brewer Pilots Point Marina in Westbrook, Conn., used Carina, a 48-foot sloop designed by McCurdy & Rhodes, and a crew of 12 to make it to the finish line. Potts says he and his crew have a lot of pride for Carina, which he and the marina staff have been taking caring of for more than 30 years. "She is a boat they&apos;ve all had a hand in at some point, whether it be painting her, fixing the engine or rigging," says Potts. "Everyone feels a bit of kinship to her and when Carina does well, it makes everybody proud." Carina has sailed the race 19 times, seven of those under Potts - the most of any single vessel, according to John Rousmaniere, media chairman for the 2010 Newport Bermuda Race. 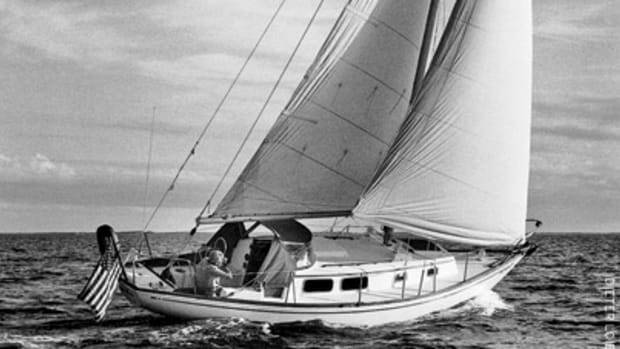 She was built in 1969 by McCurdy & Rhodes for Richard Nye, and under him she won the 1970 and 1982 Newport Bermuda races, according to Talbot Wilson, media director for the race. Potts says he has been maintaining Carina for the Nye family since 1978 and Richard Nye sold it to him in 1996. She is only one of four boats to win two or more Newport races, according to Rousmaniere. "Carina is a good seakindly boat, she&apos;s not extreme one way or the other. 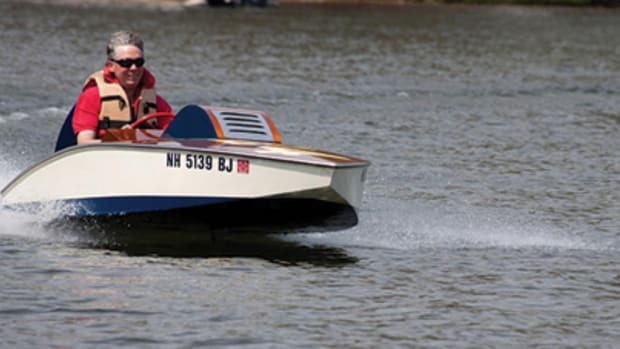 She&apos;s very sturdy and she is a heavy boat by today&apos;s standards, more than twice as much as boats her size," says Potts. Carina weighs approximately 16 to 17 tons. "She has a very narrow hull and is a good ocean boat. She&apos;s not as good around the buoys, she&apos;s not that quick and nimble. But she&apos;s very nice on the ocean going in a straight line, she likes a straight line. I kind of have a love affair with her." The race, which began in 1906 as the first ocean race for amateur sailors, had five divisions and 16 classes this year. The St. David&apos;s Lighthouse division is considered the most coveted because it is the largest division, with 103 boats sailed this year by amateur crews. The race starts off in Castle Hill in Newport, R.I., and ends in Bermuda, approximately 635 nautical miles away. "Four primary elements make for a successful passage," says Potts, "a great boat, a wonderful crew, thorough preparation and a healthy dose of good luck." All are important, but good luck is often the determining factor, says Potts. "You have boats that range from 35 feet up to 100 feet in the Bermuda Race, sailing in totally different wind patterns and different currents ... everything is different. The race is usually a big-boat or small-boat race, meaning the weather usually favors one or the other," says Potts. Potts says balancing his business with competing in the race is no easy task, but having a good staff and good management helps immensely. "Most of our crew has been here 20-years-plus and they are all great people ... my extended family," says Potts. "I try to manage the place in such a way that if I get hit by a truck or something, they won&apos;t miss a beat. I am very fortunate to have such a great team." Potts says the Newport Bermuda Race is the only major ocean sailing event he gets to compete in during the year. 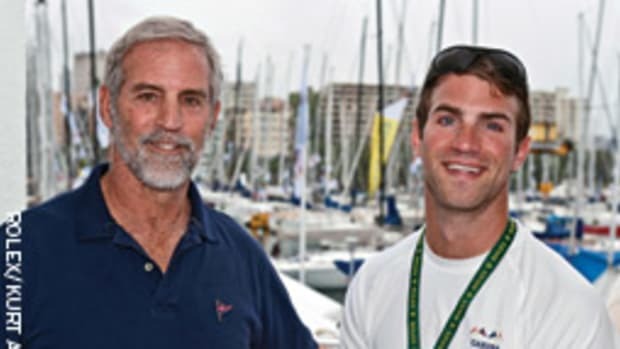 Potts and his sailing crew - which included his two sons Allen, 26, and Walker, 25, his nephew, Rives Sutherland, 25, and close friends - used the New York Yacht Club&apos;s 156th annual regatta held June 11-13 in Newport, R.I. as a sea trial for Carina. "You have to physically make sure everything works and also get everyone in the proper mental state for the race," says Potts. 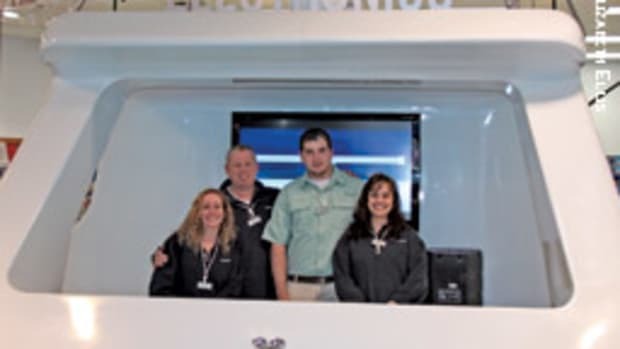 Potts bought Carina because he wanted his sons to have experience with ocean racing. They have joined with their father in five out of the seven Newport Bermuda Races with Carina. 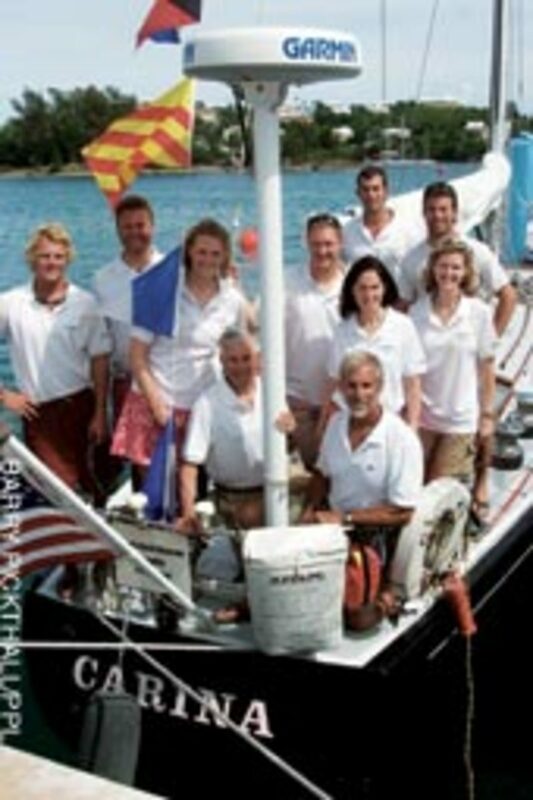 "I always try to invite father and sons or father and daughters on board as crew. To have a little bonding experience on the ocean - there&apos;s nothing like it," says Potts. But Potts owes much of Carina&apos;s success of the race to catching the Gulf Stream, which cuts across the middle of the race route, at exactly the right place and the right time. "It can be anywhere from negative-4 knots to positive 4 knots and hitting that just right is real key," says Potts. "We used to navigate this race with a sextant and a thermometer in the head to determine where we were and when we were in the Stream. Nowadays, there are several weather services and the Internet that provide all the racers with loads of data. The key is to interpret the data the best you can to take advantage of the best winds and currents ... it&apos;s always a challenge." He credits his navigator, Patti Young, and tactician and best friend, Lexi Gahagan, with making the right decisions that put Carina on the winning course. Potts is looking forward to entering Carina in the next race, which, according to Rousmaniere, has a tentative start date of June 12, 2011. For information, visit www.bermudarace.com.